Need to ace your entrance exam? Looking for top notch test prep or the best test review books, then you are at the right site. Since 1978, ADVANCE Test Review’s test prep and application development students have earned admission into college, graduate school, and law school. They achieve their personal best on the SAT, PSAT, ACT, LSAT, GRE, GMAT or MAT* and compose persuasive admissions winning applications. 100% of students successfully completing both the ADVANCE Test Review test prep and admission application design programs were accepted into college, law school, and Masters and Ph. D. curriculums during the 2015-2016 academic year. For many their improved scores led to more merit financial aid and fellowships. Whether you prepare taking a live Ace Your Exam course in the Greater Philadelphia area or through a Mentored Independent Study through the Internet, you are our top priority. Our test prep book recommendations are second to none. The high success rate of our students has made us very popular. Space is limited. Contact us now. Get information and registration forms. ADVANCE Test Review’s breakthrough strategies can be customized to fit each student’s individual problem solving methodology. In addition, our instructors are hand-picked test experts who constantly review the exams for additional tips and tricks that put you ahead of your competition. Our study materials are top notch and reflect the most up to date test versions. You need to convince the admissions committee that you are the very best person for entrance into their selective program, and your application may be the only opportunity to convince them. Our admissions coaches assist applicants in developing attention-getting personal statements, essays, and resumes that emphasize your potential for future success. This can be a priceless advantage. If time is short, we have found for you the best, most affordable test preparation books for the SAT, PSAT, ACT, LSAT, GRE, GMAT, and MAT. These recommendations are based on our expertise and high standards. Click on your test’s name tab to find our current suggestions. *SAT and PSAT are trademarks of the College Board. ACT is the trademark of ACT, Inc. GRE is a trademark of the Graduate Record Examinations Board. 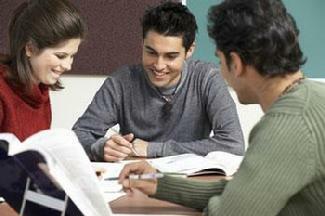 GMAT is a trademark of the Graduate Management Admissions Council. The LSAT is a trademark of the Law School Admissions Council. The MAT is a trademark of the Pearson Education, Inc.